After arriving at the Colombo Airport, meet our representative who helps you with an assisted transfer to Dambulla / Habarana. Once you arrive at your destination, complete the check-in formalities at your pre-booked hotel. Later, in the afternoon, visit Dambulla cave temple or Golden Temple of Dambulla- a UNESCO World Heritage Site. The rest of the day is at leisure, you can spend it as per your own liking. Interact with the individuals, taste the local renditions and more. Overnight stay in Dambulla / Habarana. After breakfast on day 2, leave your hotel room for a day’s excursion to Sigiriya or Ritigala. The ancient palace of Sigiriya, a UNESCO World Heritage Site was built by King Kasyapa (477 – 495 CE). One of country’s best preserved ancient urban planning, it was a Buddhist monastery during the 14th century. The next site is the nature reserve of Ritigala, consisting of ruins of a cave temple and a monastery. Back to Dambulla / Habarana for an overnight stay. On day 3, post breakfast, hit the road to Kandy. On the way, partake in a spice tour at one of the spice garden’s of Matale. Treat your eyes to the verdant greenery spread all around you, while taking-in the aroma of the tea leaves. 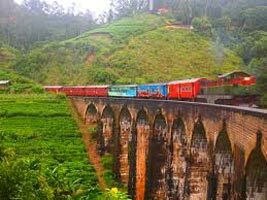 Continue for Kandy an important city of Sri Lanka. On arrival, check in at your hotel. In the evening, visit the Tooth of the temple or Temple of the Sacred Tooth Relic to view an enchanting cultural performance. This World Heritage Site consists of relic of Lord Buddhism’s tooth. Overnight stay. 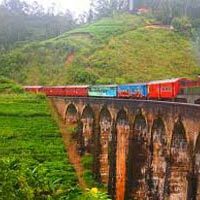 After relishing breakfast at your hotel, get an assisted transfer to the capital city of Sri Lanka, Colombo. Upon reaching Colombo, complete the check-in formalities at your pre-booked hotel. After settling in your room, have your lunch at a city restaurant. This is followed by sightseeing/ a shopping spree in the city. In the night, if you want, you can enjoy the nightlife of Colombo, by visiting any of the popular casinos of the city. Stay overnight in Colombo. On the last day of the tour, after breakfast, get an assisted transfer to the airport to board a flight for your onward destination.